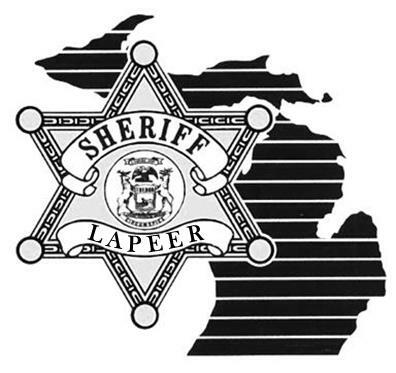 On Wednesday 04-01-2015 at 3:06 PM, Lapeer County Sheriff’s Deputies responded to Caster Drive in Attica for an individual was that injured while cutting down a tree. Jeremy Machiela age 35 from Columbiaville and four family members were removing two trees at a privately owned residence. The trees were mature with an estimated height of 60 feet and two feet in diameter trunks. A bucket lift was utilized to cut a tree which was positioned near shed. Jeremy Machiela was positioned within the bucket lift and about thirty feet off the grounds. A chain saw was being used to cut the tree. A rope pulled by three males was attached to the upper section of tree being removed to control the fall. The upper section of tree did not fall like anticipated (opposite direction) and subsequently struck the bucket lift. The bucket lift and tree fell onto the roof (collapsing the roof) of the nearby shed. Jeremy Machiela was wearing the safety harness but ejected from the bucket and struck the roof. Jeremy Machiela was pronounced deceased at the scene. Equipment failure does not appear to be a contributing factor. The Lapeer County Sheriff’s Office as assisted at the scene by Lapeer County EMS and Attica Township Fire Department. This case remains under investigation by the Lapeer County Sheriff’s Office.